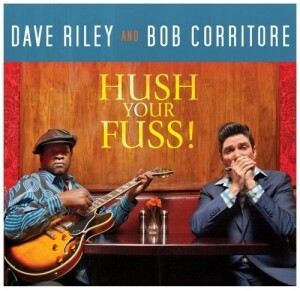 Dave Riley & Bob Corritore – Hush Your Fuss! The third collaboration between Dave Riley and Bob Corritore continues down the path of the first two, giving us some more of the best traditional blues around! 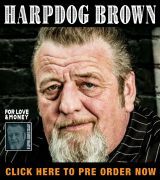 Dave Riley is authentic, gritty and down home; a Hattiesburg, Mississippi native who is a real Delta bluesman. Corritore is the ultimate Chicago harp master. Together they exude real blues done in with feeling in an evocative style. Brother Dave “Yahni” Riley, Jr. is on bass, Brian Fahey is on drums and Gloria Bailey plays organ on “Mississippi Po Boy.” All new stuff and written almost exclusively by the featured duo, the sound is real and convincing blues. The duo open acoustically with the title track, a sweet little number with just the two of them strumming, blowing some harp and testifying to us. Short and sweet, but a great start to a fun CD. “Baby Please Come Home” has Riley hollering for his gal as Corritore keeps pace in response on harp, a cool slow blues as is “Go Ahead and Blame Me” which is even dirtier and grittier. “Oil Sill Blues” also goes that route, giving us a Mississippi bluesman’s take on the BP debacle. “Hard Headed Woman” is a romping good time. “Mississippi Po Boy” is a slow and ballady blues chronicling parts of Riley’s life as does “Home In Chicago.” The organ does add a good backdrop to the former and the latter shuffles sweetly. A couple of tracks go a little tongue in cheek and are fun- “No Cussin’” and “Laughin’ Blues” are lighter and offer us a bit of humor. This is a good set of tunes done up nicely. I loved their first effort, thoroughly enjoyed the second and now with a third they have a trio of super albums under their belts! 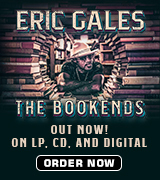 Recommended for all traditional blues lovers!! !